since the establishment of the company, 80 years ago, the industrial machinery division of komatsu has provided an in-depth response to the needs of customers while carefully monitoring changes in the structure of the industry, both in japan and worldwide. drawing on the long experience, know-how and technology of the industrial machinery division of komatsu, in 1994 komatsu industries corporation and its group companies were formed, and the main products are sheet metal machines and forging press machines. we maintain a policy of responding to the innovation in the production processes of our customers swiftly and appropriately on an integrated basis from development to production, sales and after-sales service. the komatsu industries group is committed to offering high quality products by enhancing and refining the special skills of each member of the group. 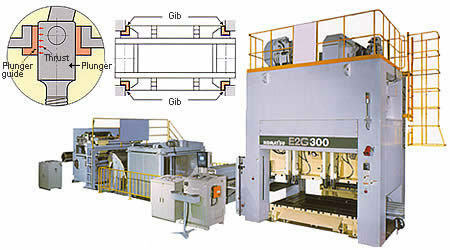 as a total technology corporate group, we provide reliable support to the manufacturing sector. 70 نموذجVew المزيد عن Komatsu Industries Corp.
Nyrock M & T Corp.
Harrison Industrial Equipment Co Inc.